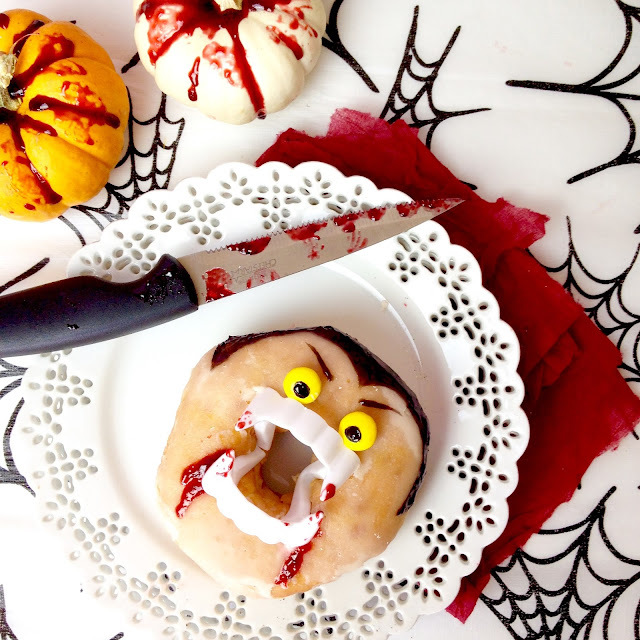 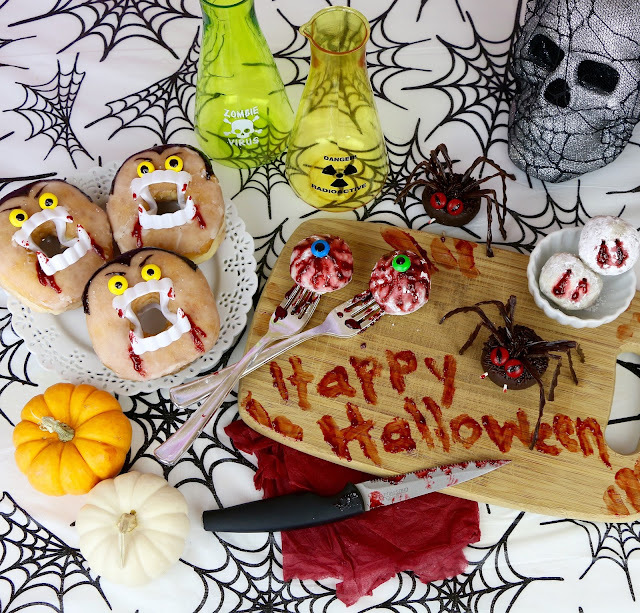 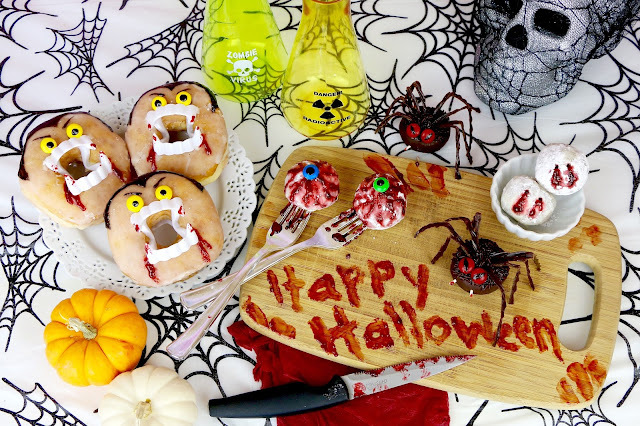 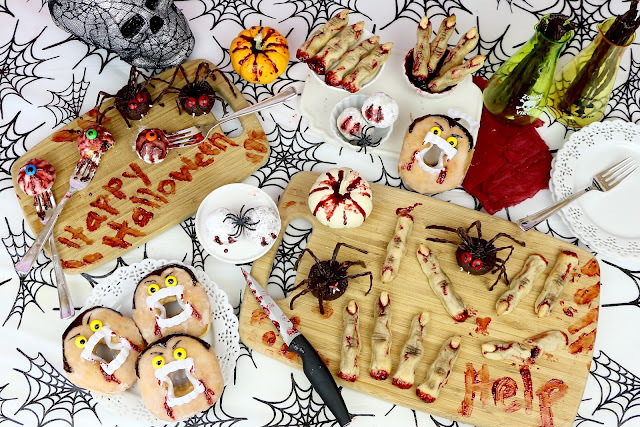 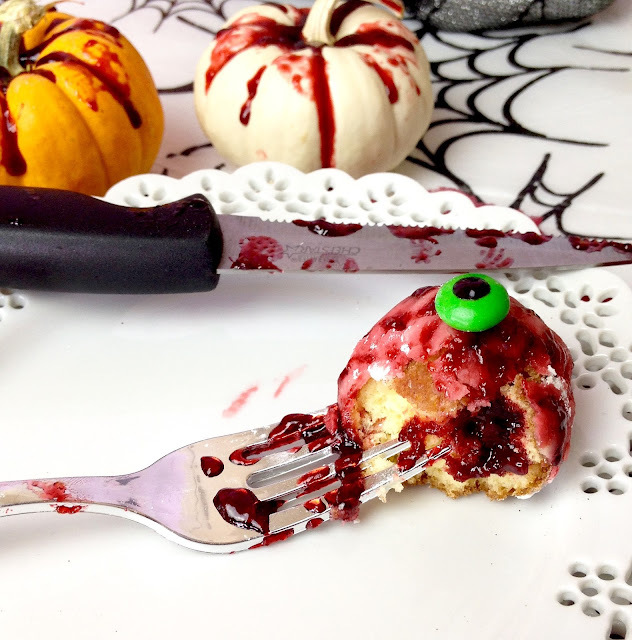 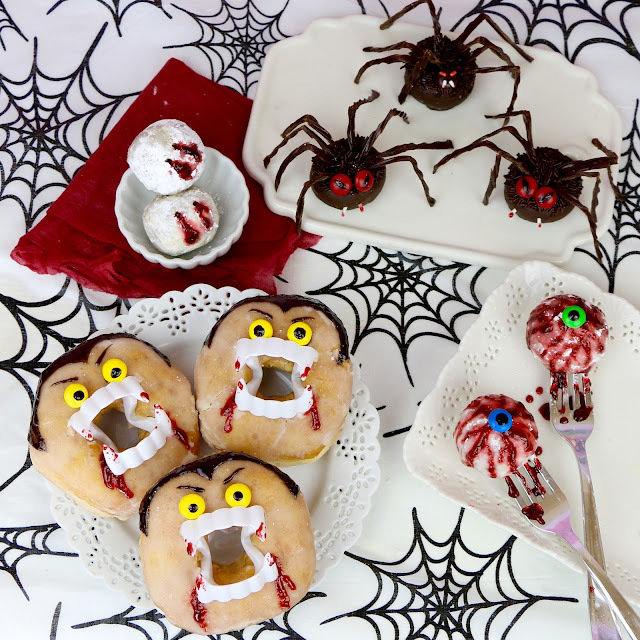 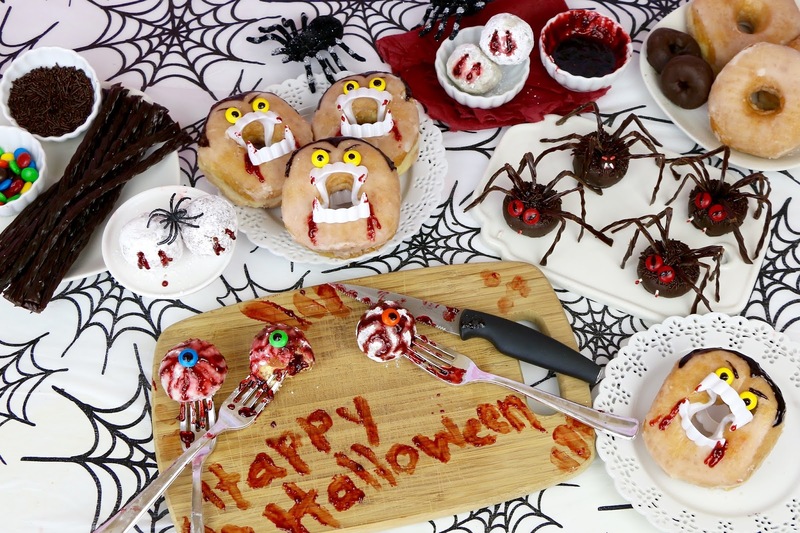 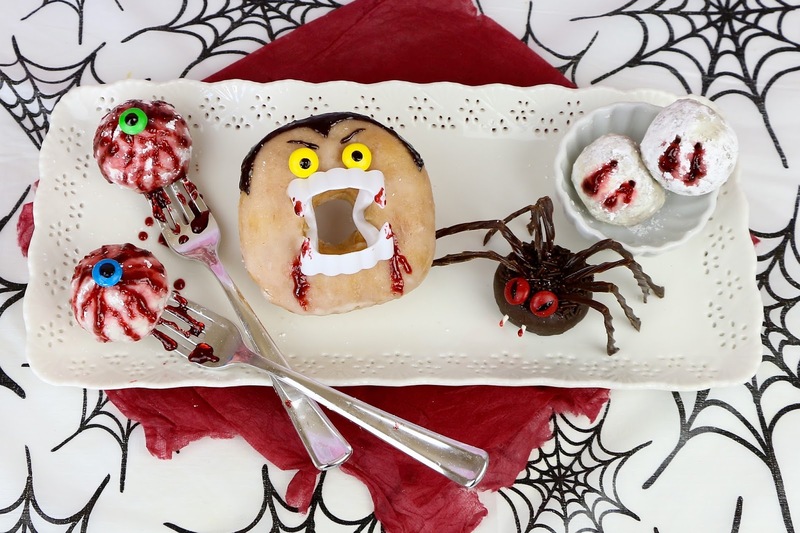 Glazed doughnuts are decorated with vampire fangs, M&M eyes and Dracula's signature widows peak hair line out of decorating gel to make these little treats. 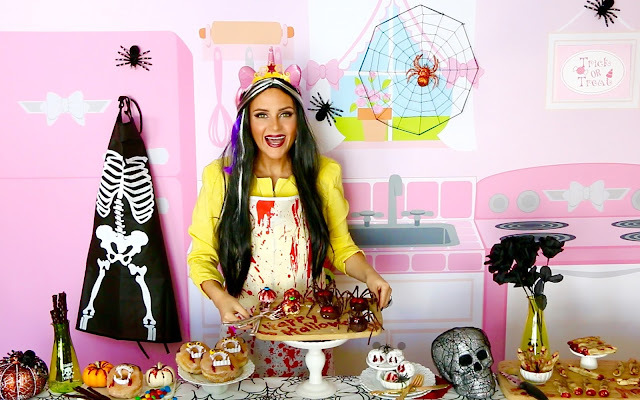 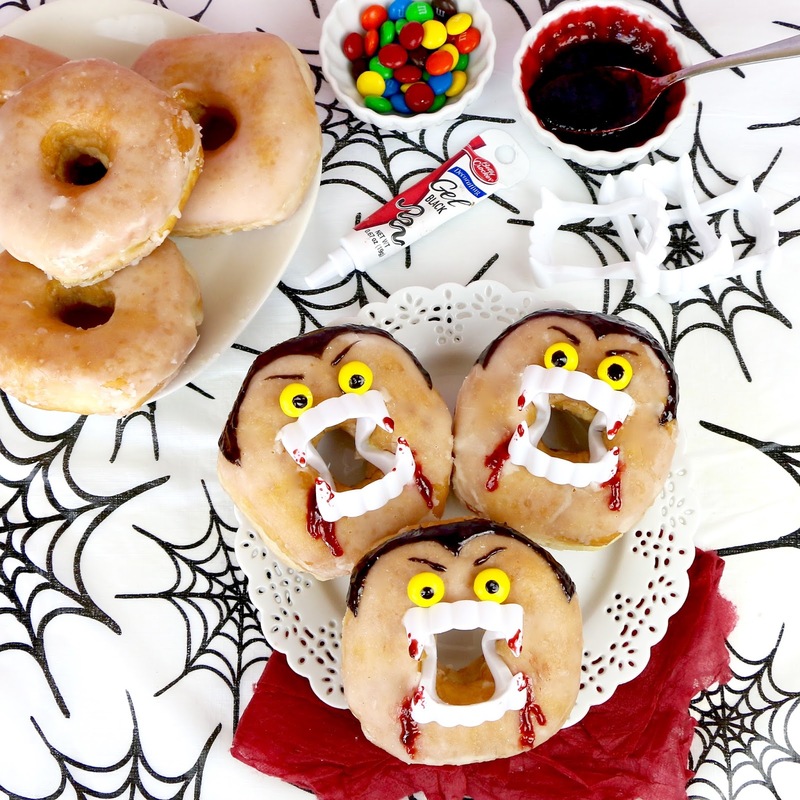 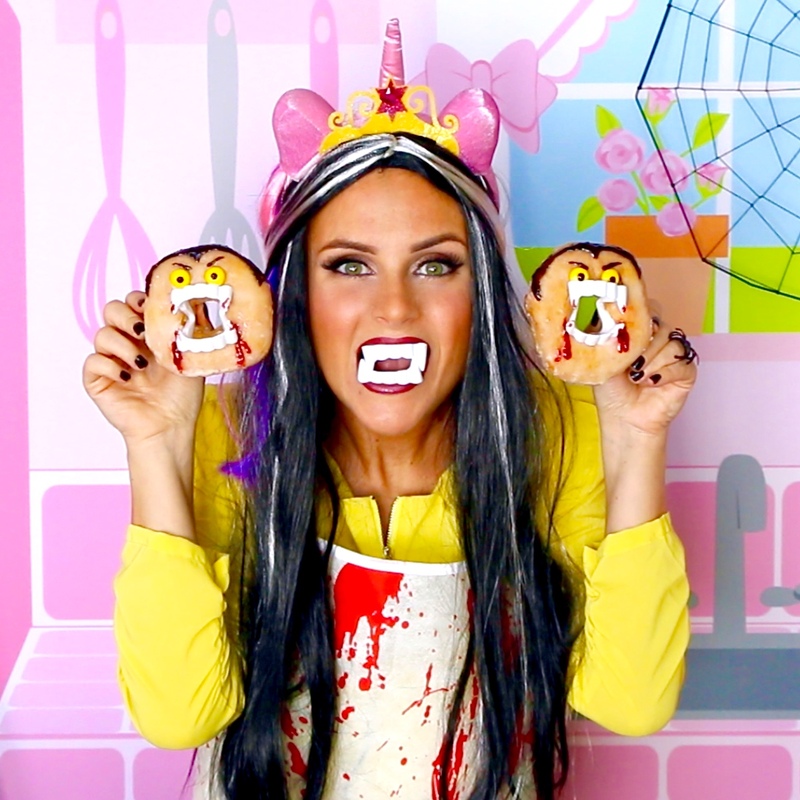 Finish them off with a little jelly dripping from the teeth and you have got some adorably spooky Dracula Vampire Donuts in no time! 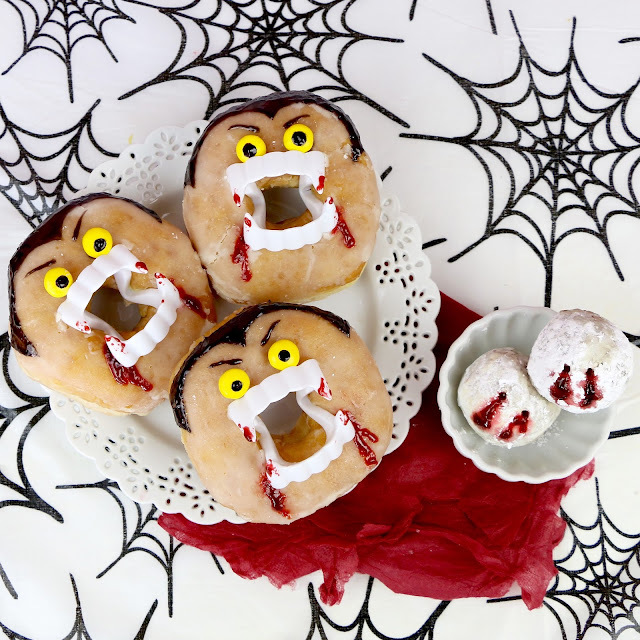 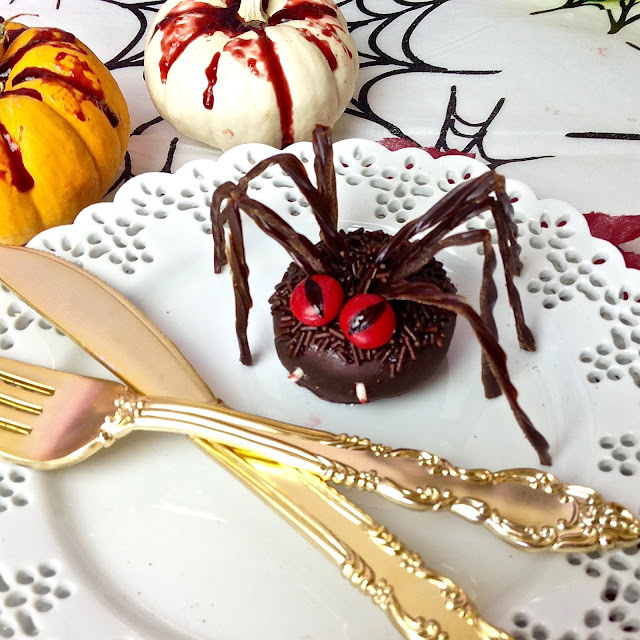 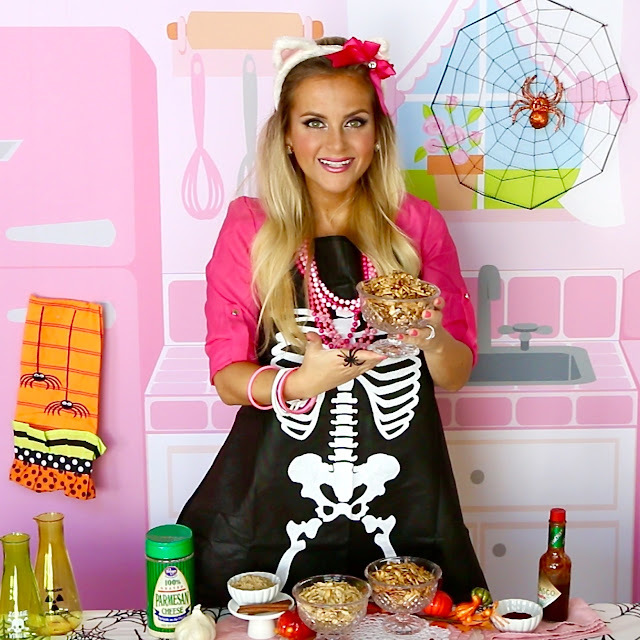 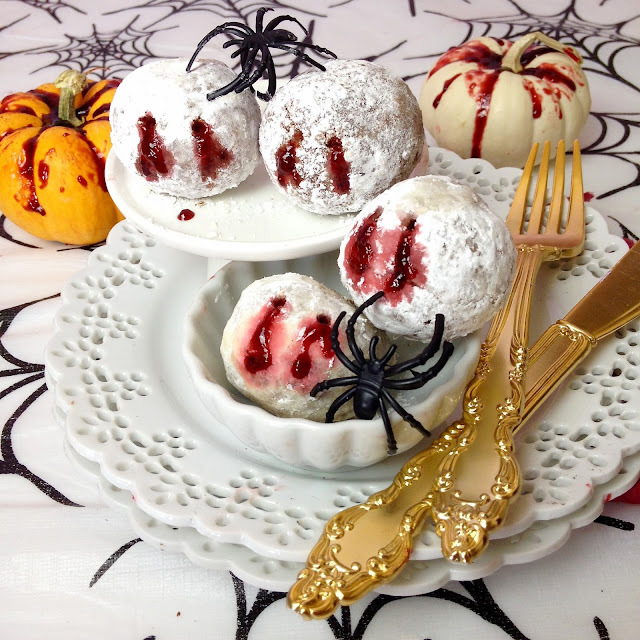 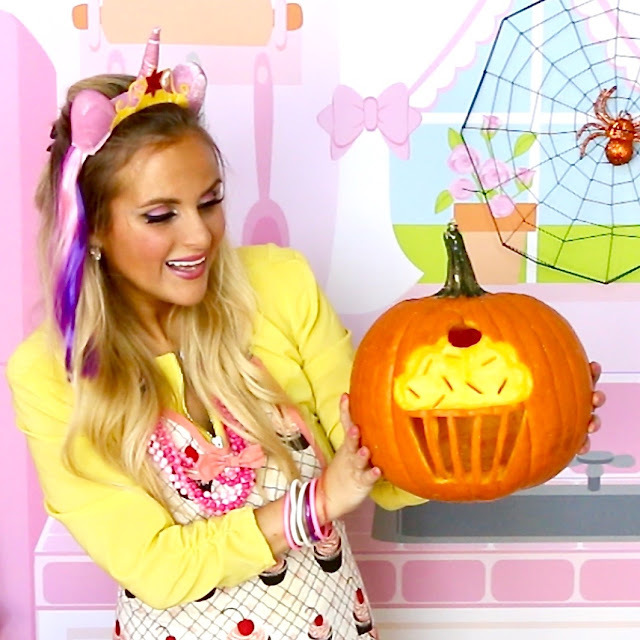 These also look great served with along side my Vampire Bite Donuts! 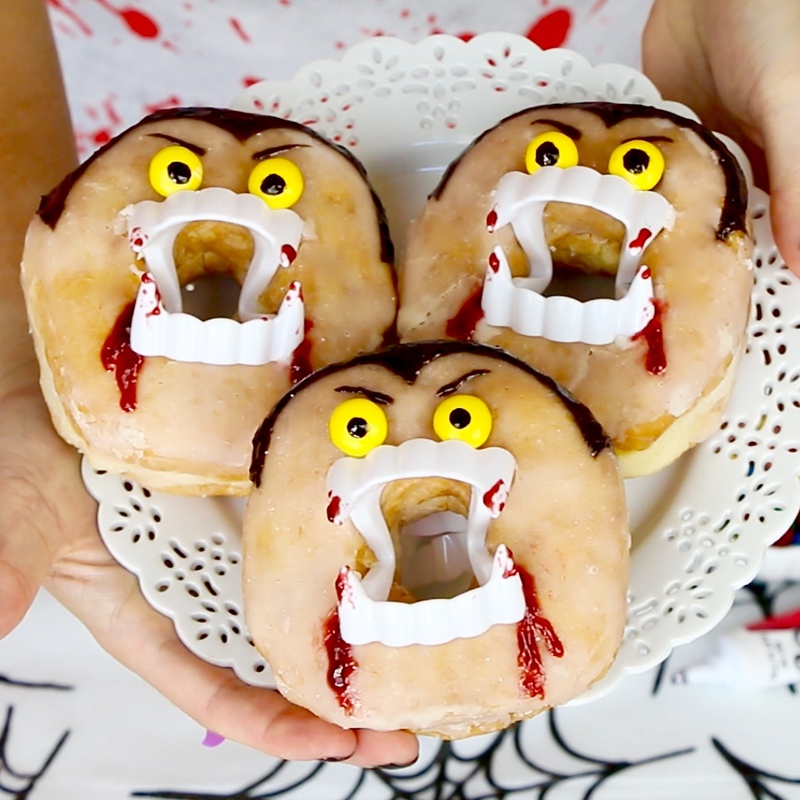 So for these we start with some regular glazed donuts. 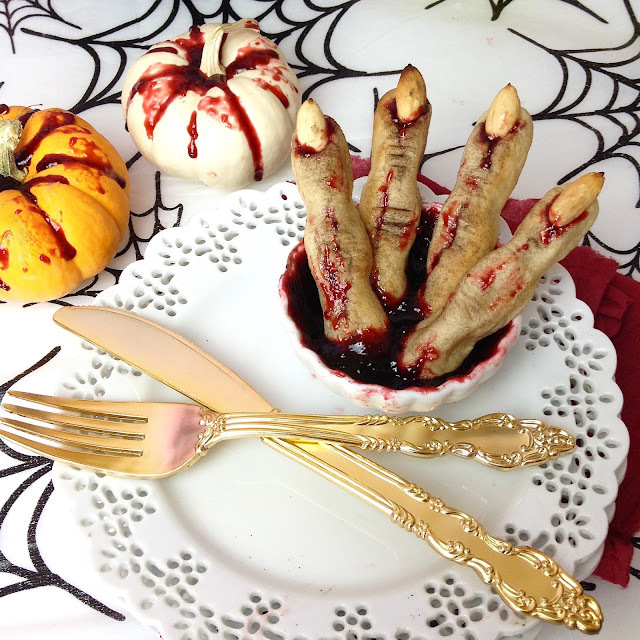 Then, take a pair of plastic vampire fangs and hold them shut while you push them right in center. 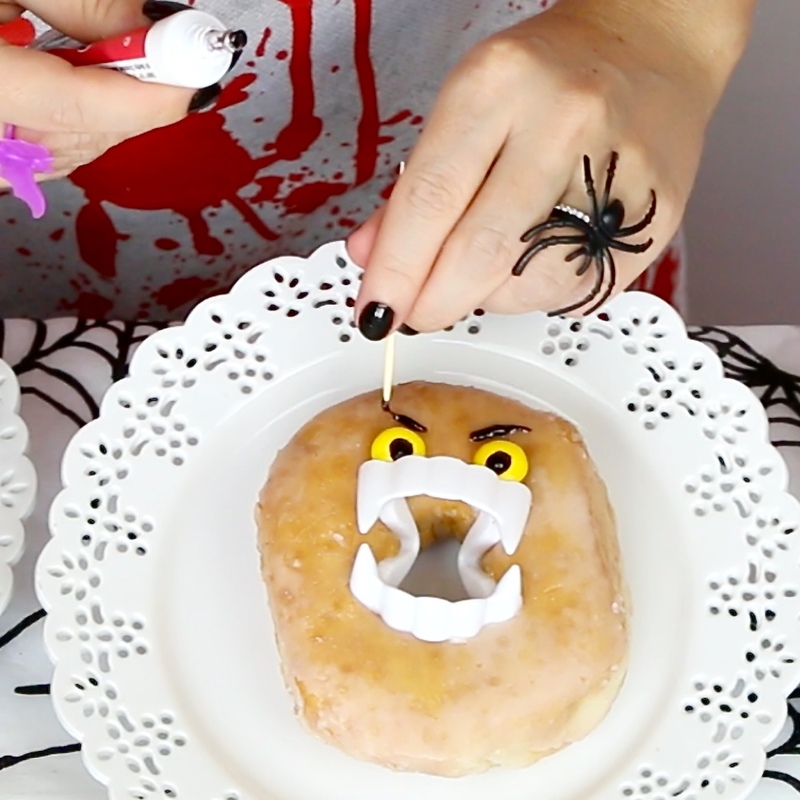 Gently let them open them up so they fit right in the hole. 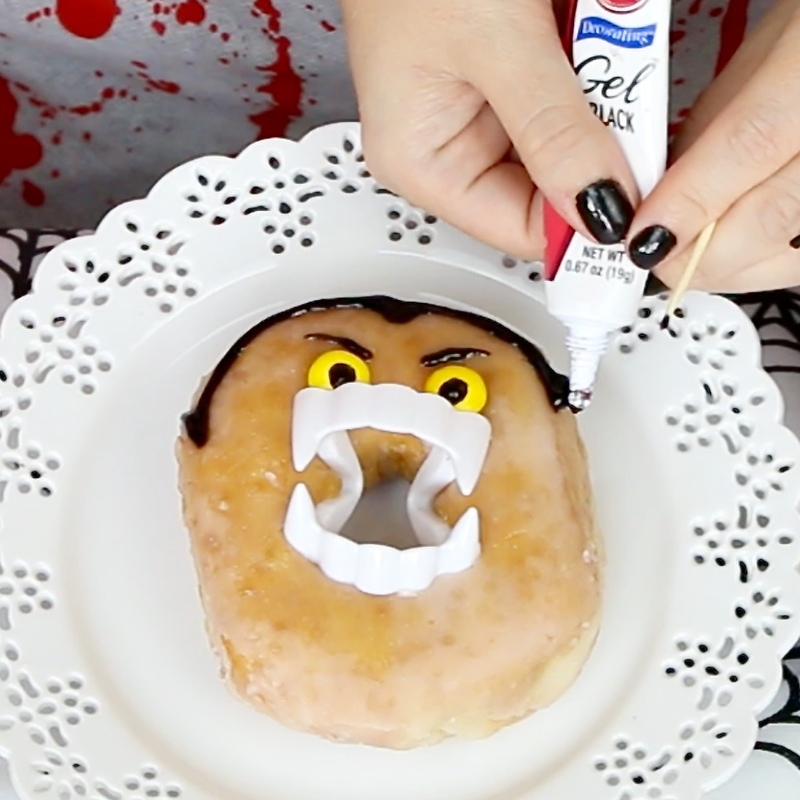 Now for the eyes, just take some M&M’s, and draw a little pupil with some black decorating gel, and stick them into place with a dot of the gel. 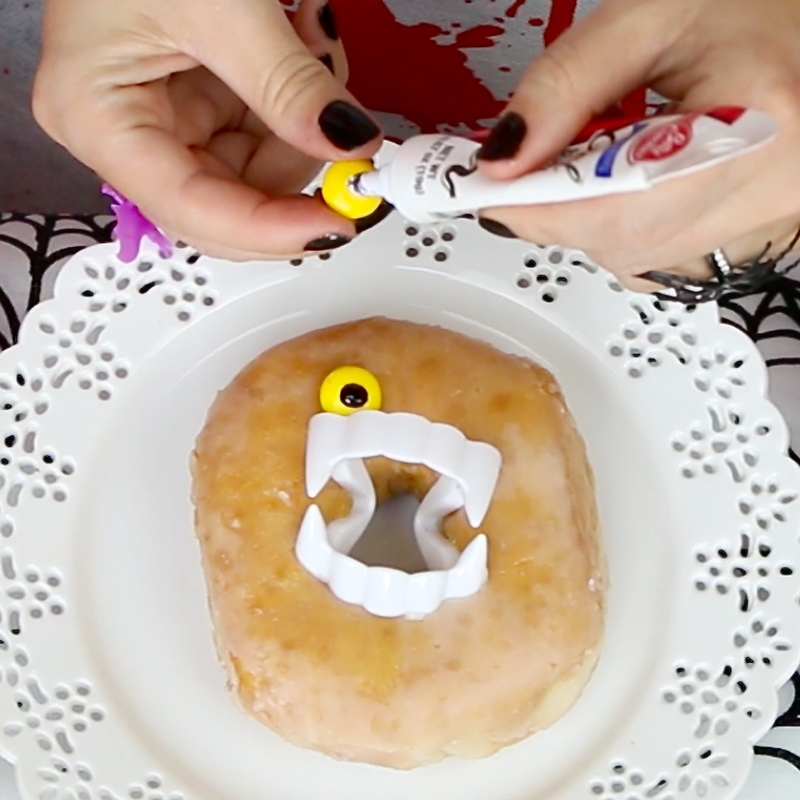 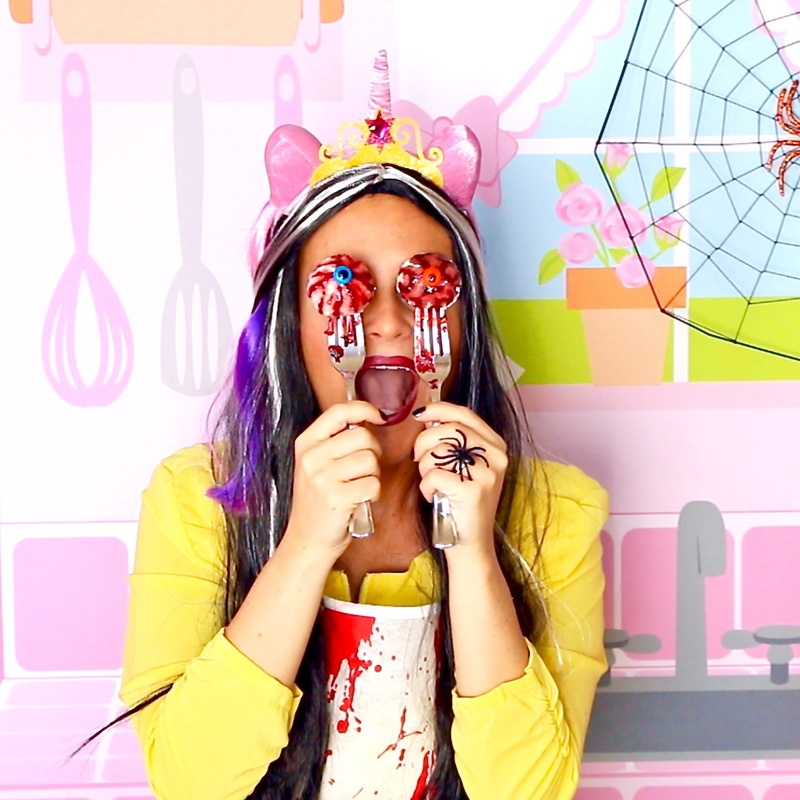 Then, draw on some eye brows with a toothpick and the decorating gel. 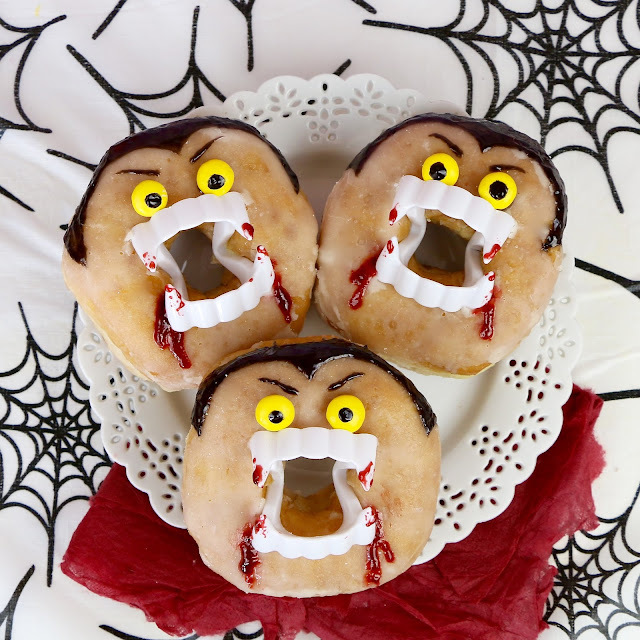 Then, pipe on Dracula’s signature widows peak hairline. 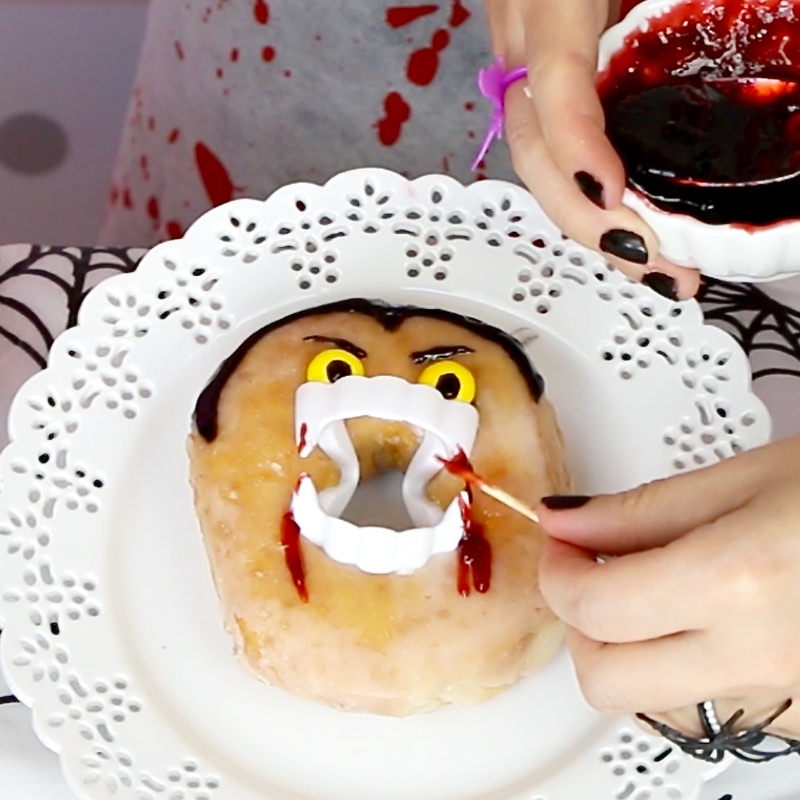 And for the finishing touch, add some of the jam on to the sides of his mouth to look like blood dripping down.